Join fellow producers and industry experts to reach higher in your operation. For a complete agenda with times, click here . The Madison Marriott West is almost full. For alternative hotel accomidations, please call Comfort Suites Madison West and mention Dairy Calf & Heifer Association. They also provide complimentary shuttle service from the airport and to the Madison Marriott West if requested, based on availability. Please schedule ahead of time. Keynote speaker, Keith Poulsen, will address, "A Growth Mindset on the Ranch Encompasses More Than the Health of the Calves"
Robert Hagevoort will speak about the "Best Management Practices for Milk and Dairy Beef Quality Assurance." 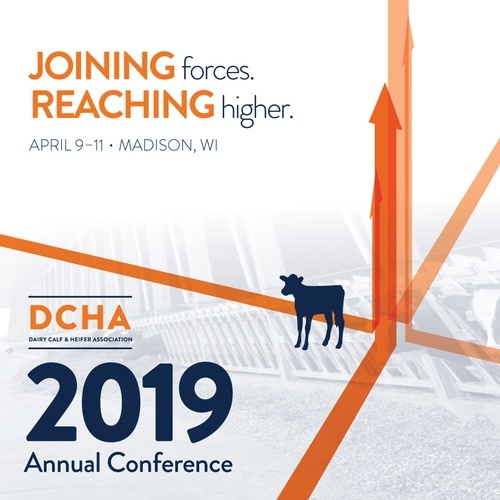 Jennifer Van Os will discuss "Welfare of Dairy Calves and Heifers: Relevance to the Animal, the Producer and the Consumer." ABS Global - visitors will learn about biosecurity practices and tour a state-of-the-art calf facility where the company houses its young bulls. Crave Brothers Dairy Farm - along with touring the all-in, all-out calf nursery barns, visitors will see their milking facility, cattle barns and manure digester. When signing up for post-conference seminars, PLEASE NOTE, you are signing up to attend the procedures with Don Sockett and Theresa Ollivett from 2:00-4:00 or from 4:00 to 6:00, and touring STgenetics during the other time slot. For example, if you sign up for the 2:00-4:00 procedures, you will tour STgenetics from 4:00-6:00. The conference has been pre-approved by the American Registry of Professional Animal Scientists for 16 ARPAS CEUs. Participants should request credits for this event at arpas.org. Students - Please email sue@calfandheifer.org to get registered at a discounted rate. Cancellations received by Friday, March 15 are refundable in full. Request for cancellation must be sent via email to: sue@calfandheifer.org. After March 15, cancellations are subject to a fee equal to 50% of the booked conference registration. Please note: If you do not cancel and do not attend, you are still responsible for payment. Substitutions may be made at any time. Recording videos at our event is strictly prohibited, unless prior approval from DCHA staff is obtained.